EL PASO, TX – ScottHulse shareholder Rosemary Marin, an El Paso attorney who is the Chair of the El Paso Bar Association’s (EPBA) Labor and Employment Section, led an EPBA Labor and Employment Seminar for lawyers on April 24th, and was a co‐presenter on the topic of interacting with governmental agencies. The seminar was open to all local attorneys. 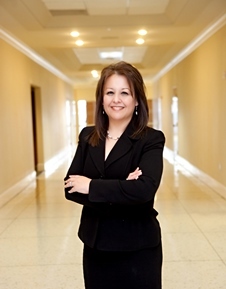 “Our firm stresses the importance of giving back to the community, including our local bar association, so I was very honored to be able to serve in this capacity,” said Ms. Marin, who heads the ScottHulse law firm’s labor and employment section and is board certified in labor and employment law by the Texas Board of Legal Specialization.